If you have a teen or are a teenager who is struggling with drug abuse, there are several different options to partake in when it comes to outpatient programs. Outpatient programs aren’t extremely costly, and they promote positive environments and activities for teens to engage in. During outpatient programs, teens focus on treatment but are still encouraged to engage in positive family and social gatherings for inspiration and comfort. Teens are recommended to maintain their current school scheduling while focusing on drug rehabilitation with outpatient program leaders. Outpatient program leaders are there to guide the teen that is abusing drugs or alcohol while also trying to mend the parent and teen relationship. Outpatient programs are in place to make sure the teen stays in positive contact with their family, focus on schooling, and engage in rehabilitation activities. 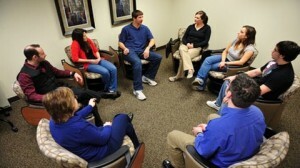 Outpatient scheduling varies from program to program, but most offer services a few times a week. Before becoming a part of an outpatient rehabilitation program, teenagers are required to take an assessment that consists of filling out paperwork and getting tested for drugs. Once the teen and their family go through the interview process, they are taken on a tour of the facility and given options that are available. During the detox process, therapists and outpatient leaders frequently check on the teen to make sure they are staying clean and in a healthy environment. If a certain program isn’t working for the teen, outpatient programs ask that they be honest if they have relapsed. Though teen are never required to engage in activities at the outpatient facility, they are always available and highly recommended. At outpatient facilities, teens are able to engage in group sessions to discuss with one another how they are feeling about rehabilitation and what activities they are engaging in outside of the program. There are also other activities for the addicted teen to engage in such as art therapy, fitness programs, and even team sport activities. During the outpatient process, teens are offered advice on how to improve their lives, and how to find alternatives to abusing drugs or alcohol. Many outpatient programs highly recommend teens engage in activities outside of the facility like cooking, painting, learning a new skill, physical activities, journal writing, and even meditating. Even though outpatient programs don’t require the teen to spend as much time in the facility as inpatient programs do, outpatient programs can still be extremely successful if the teen has the right amount of support and knowledge of alternative activities to improve their life. Outpatient programs can help. Call 1-800-895-1695 for a free referral.